Well here we are again on Little St. Simons Island, Georgia for the holidays. A yearly tradition and sojourn for family Berolzheimer. In another day or two the remaining family members will arrive and well set off for our annual Christmas Tree hunt. I call it a hunt as that’s just what it takes to find a suitable holiday tree on Little St. Simons. No plastic Chinese produced tree or perfectly proportioned fir from the Christmas tree lot for us. 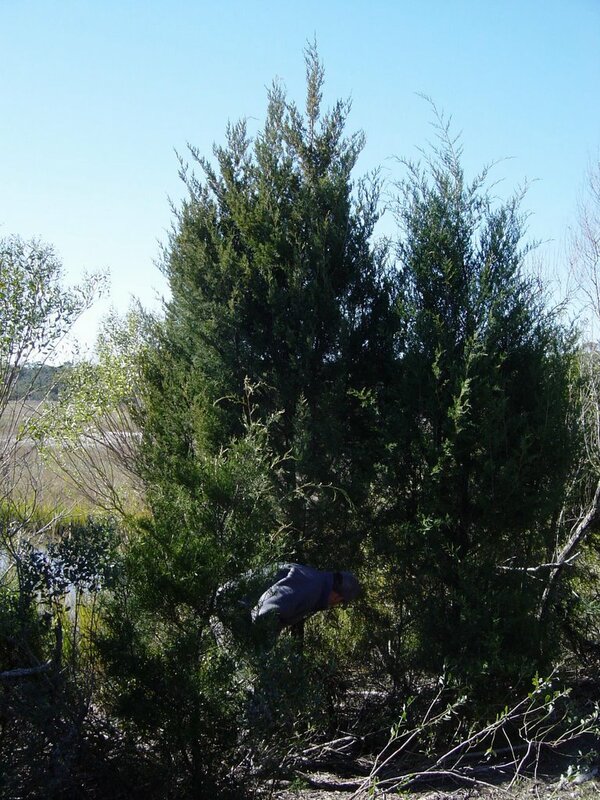 Always a naturally grown Southern Redcedar, cut fresh from our own property. 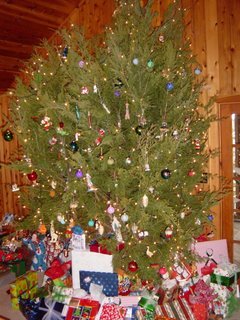 Now a cedar, or more properly in this case a juniper, is not your typical Christmas tree. 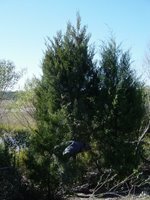 More a bush than a tree in this coastal barrier island environment, the Southern Red Cedar is not the prototype ornament hanger with its scrappy, lightweight branches. A one hour pickup truck ride and hike, bundled up against the cold, looking for something resembling the traditional conical shape, stopping here and there, inspecting possibilities, casting our votes, lobbying amongst one another for which tree will work best for us this year. The most well proportioned trees we find are always too big even for our central high ceiling location. The smaller ones tend to have some natural defect from growing too close together or up against a prickly pear or Myrtle bush, only discovered upon closer inspection. Finally, we choose and cut, always a compromise from the ideal. A picnic lunch follows and the late afternoon and evening are spent propping up the tree, hanging lights and ornaments even wiring it to the wall so the excessive ornament weight doesn’t tumble the tree to the floor. The result though not the mainstream “perfect tree” is our own form of perfection. Often we consider whether we might simply take a half acre or so to plant and properly manage a number of trees including more suitable Christmas tree species so we can have better trees in future years. Of course the cedar tradition is in our blood as a family and here at Little St. Simons Island. Originally the property was purchased by the Eagle Pencil Company (LSSI Timeline see 1908) to harvest the taller commercial size Southern Redcedars (Juniperus Virgniana subspec Silicicola)for pencil wood supply back in the days when it’s cousin the Eastern Redcedar, Juniperus Virginiana, was the preferred species by pencil manufacturers. However growing conditions for commercial size Cedars were not ideal and the economics of harvesting on and transporting from an island proved. Instead the property has become a family retreat and now can also be your private Island hideaway. – There are from 500,000 acres of commercial Christmas tree farms in the United States which sell from 25-30 million trees each year. 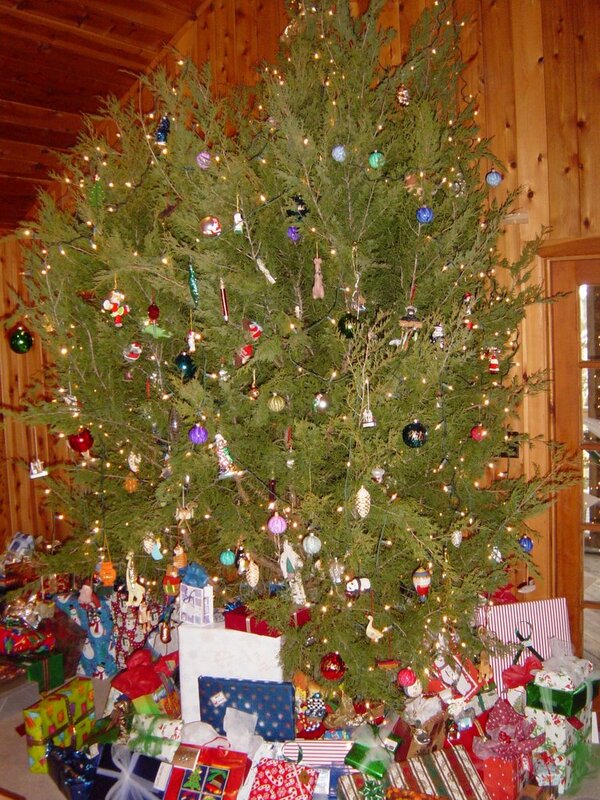 – The most common species are balsam fir, Douglas fir, Fraser fir, noble fir, Scotch pine, Virginia pine, and white pine. – Every acre of Christmas Trees grown produces the daily oxygen requirement for 18 people. – Beyond being a renewable resource increasing number of real Christmas trees are recycled each year. Find a recycling program here. – The average artificial Christmas tree of which China produces 80%, are used for 6-9 years before ending up in a landfill, though I suppose there may be some recycling opportunities growing for these imitators. – A Real Tree is five time more environmentally compatible than a plastic tree, according to this study by Swedish researchers. It’s been fun to learn about the growing list of Palomino fans. What a diverse and interesting group of people we are. 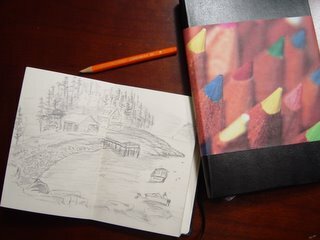 Clearly we all have a common interest in pencils and in my view PRevo has done a wonderful thing bringing us together. But it’s clear there are many more links than an interest in pencils and the outlet to wax philosophic about our chosen tools of choice, how we use them and what might be done to improve them. Appreciation of a finely crafted product is clearly a common denominator. Whether it’s a Palomino, a Moleskine sketchbook, a Ticonderoga, a Faber-Castell Grip 2001, or whatever. Though it’s clearly deeper than a simple appreciation of quality. An emotional connection gained from use of these items and how we feel about ourselves when we’re engaged in that activity. Certainly there is the sense of community. But there are thousands of on line communities and I would assume that many who have joined the Pencil Revolution are active in other communities as well. As a group I’ve found beyond pencils we do have other common interests such as bird watching and photography, reading, drawing, etc. For me creativity is the strongest and most common link. Whether it’s writing a 50,000 word novel in a month in pencil, exploring and designing unique symbology, or simply keeping our own blogs about a broad and diverse group of subjects. In fact it’s the link as a creative outlet that inspired me to get going with Timberlines and begin to offer Palomino pencils on eBay where perhaps I have helped a few others with the tools to. Since then I’ve even taken up notetaking, writing and drawing in a Moleskine myself when I haven’t drawn in a number of years. And I’m not the only one. Finally, a very special congratulations to Cyberlizard. I see you are a winner in 2005 National Novel Writing Month contest and we worship you for writing the whole thing in pencils and using Palomino pencils at that. For the sake of our eBay store we’re kind of hoping you’ll just keep on going month after month. Can’t wait to learn more about your novel. Pencil World Promotional Note: We’ve now added aquarelle pencils to our Palomino range and have great offer going on for Christmas pencil stocking stuffer bonus giveaways with a purchase of any of our Palomino pencils. http://calcedar.com/wp-content/uploads/2005/12/DSC08065.jpg 240 320 WoodChuck http://calcedar.com/wp-content/uploads/2017/02/logo.png WoodChuck2005-12-03 16:56:002017-02-23 18:04:53Who's got that Palomino?